Paddling in a secret and magical cove, a beautiful young woman makes an amazing find. 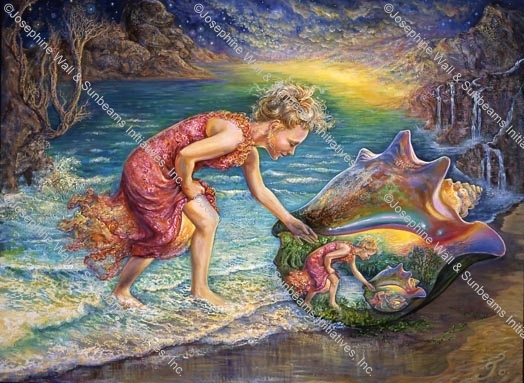 Stooping low to investigate a huge conch shell, she is amazed to find a never-ending refelection of herself, as if in a series of mirrors. Looking more closely she discovers that in each reflection she is transported to a different land. Does she dare to enter and investigate?